If you are interested in meeting us – Diamond Way buddhists – the best solution is to visit one of our Diamond Way centers. Here you can follow a public meditation and receive explanations for practices which we use as well as other useful information. 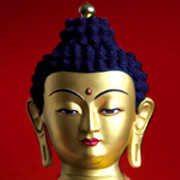 You can also use our buddhist library with books and materials also available in English. You can write to us with any question you might have, or with any ideas or remarks about buddhism, our centers, activities, events that we organize, this website and our association, etc. You don’t have to fill in your "E-mail", but please do so if you are interested in the answer ;). We see all beings and ourselves as a part of a totality and gain a deep understanding of others' experience through this insight and realization.